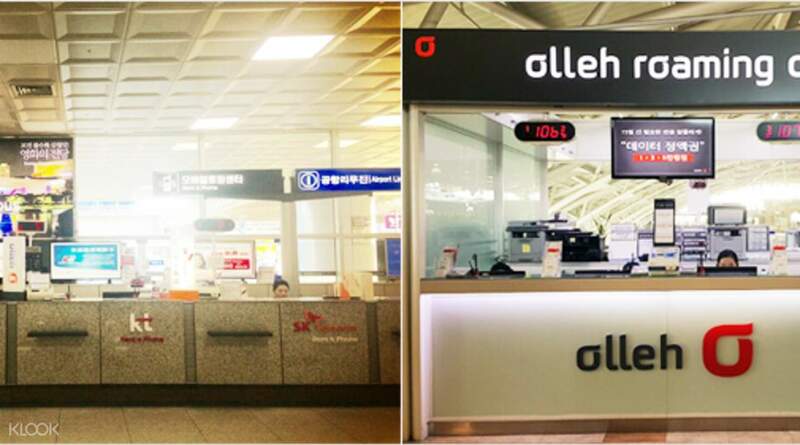 With services at Incheon (Seoul), Gimpo (Seoul), Gimhae (Busan) or Busan harbor, you can pick up and drop off your device at different locations! While in Seoul, don't miss out on Everland and Nami Island, Garden of Morning Calm & More! We were able to pick up the router in the arrival gate. The service was fast and very efficient. The device comes with a kit and a charger. The battery can last up to 24 hours even with continuous use. We rented it for 10 days and had consumed 16gb of internet. Our travel was hassle free and we didn't encounter any problem during our trip! I highly recommend their service! Good job! For the ultimate convenience while traveling, you can view maps, look up transport schedules, check the news and even keep in touch with family and friends abroad with one nifty pocket Wi-Fi device! 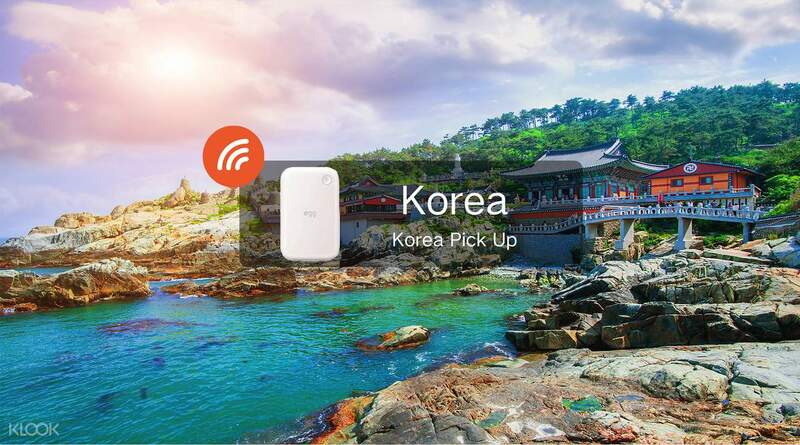 Keep in touch with family and friends whilst in Seoul and around Korea with a 4G pocket WiFi rental, giving you unlimited access to your smartphone, tablet and computer at just the touch of a button. You'll enjoy high-speed 4G Internet access wherever you want, whenever you want with coverage across the country. 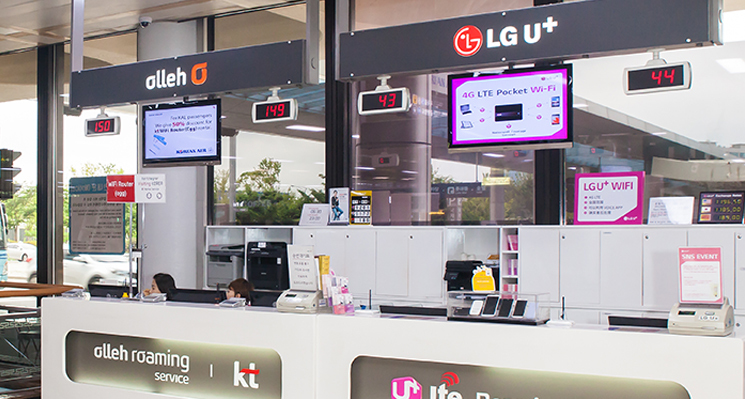 Simply pick up your 4G KT Olleh pocket WiFi device at your airport of choice, then drop it off again when you leave – staying connected couldn't be simpler! The pocket wifi was very fast. It also lasted for a long time before we had to recharge it. We were to able to stay updated and post pictures everywhere we went. 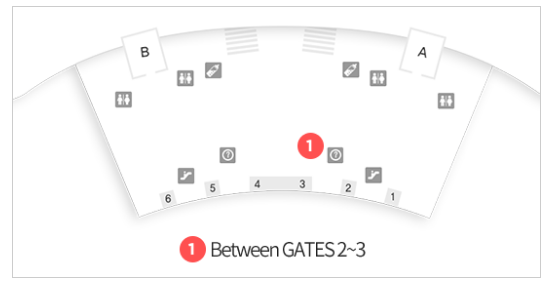 The counter was also really easy to find at the airport. The pocket wifi was very fast. It also lasted for a long time before we had to recharge it. We were to able to stay updated and post pictures everywhere we went. 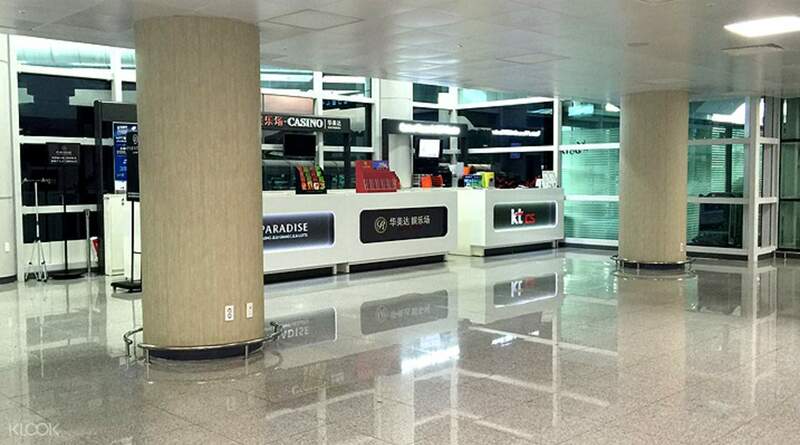 The counter was also really easy to find at the airport. 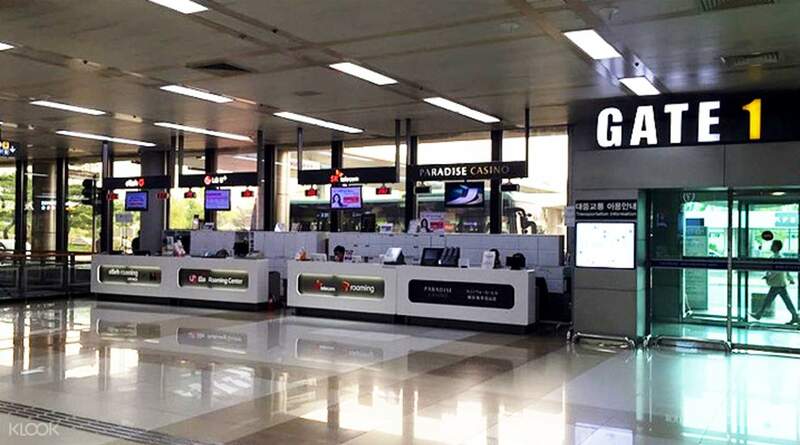 Easy to redeem at IIncheon International Airport Terminal 1, located at the ground floor.It’s a lot cheaper compare to Sim. Unlimited data, no capping.Signal is strong even at the subway. Highly recommended. 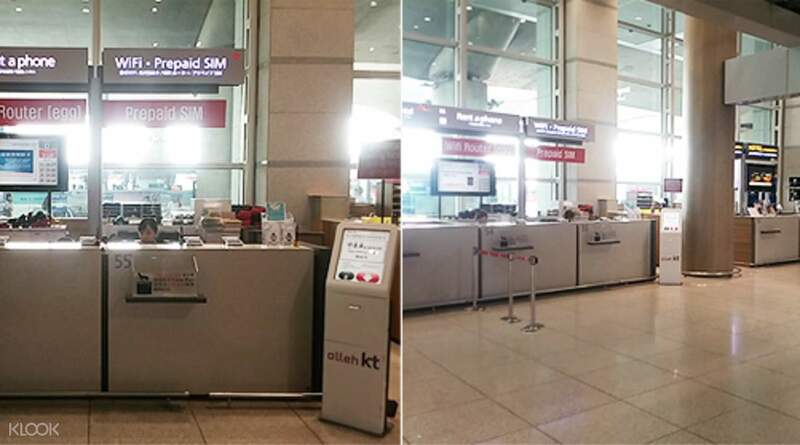 Easy to redeem at IIncheon International Airport Terminal 1, located at the ground floor.It’s a lot cheaper compare to Sim. Unlimited data, no capping.Signal is strong even at the subway. Highly recommended. The fastest unlimited pocket wifi we ever had! Easy to search the pick up and drop off locations. Fastest internet service across South Korea region. We enjoyed our 11 days pocket wifi rental. The pocket wifi built in batt itself lasts up to 10 hours plus we have extra batt in case of low batt, overall its amazing! Thank you again Klook! Til next time! The fastest unlimited pocket wifi we ever had! Easy to search the pick up and drop off locations. Fastest internet service across South Korea region. We enjoyed our 11 days pocket wifi rental. The pocket wifi built in batt itself lasts up to 10 hours plus we have extra batt in case of low batt, overall its amazing! Thank you again Klook! Til next time! Collection of device is easy n counter easy to locate. The signal is good and reliable for 2 device when I travel around Seoul, Masan and Jinhae. The Korea trip was so good that I decided to extend my stay for another 3 nights. Got my hotel concierge to call up the 4G service provider to request for extension and its done. Very easy n happy with the service. Collection of device is easy n counter easy to locate. The signal is good and reliable for 2 device when I travel around Seoul, Masan and Jinhae. The Korea trip was so good that I decided to extend my stay for another 3 nights. Got my hotel concierge to call up the 4G service provider to request for extension and its done. Very easy n happy with the service. signal is very fast anywhere in korea! we even tried going to the provinces in the north, and the signal was still stable. battery also lasts long so i could use it all day. claiming and returning was also hassle-free!!! signal is very fast anywhere in korea! we even tried going to the provinces in the north, and the signal was still stable. battery also lasts long so i could use it all day. claiming and returning was also hassle-free!!! I don't regret renting wifi as I managed to use and maximized it in my days trip in Jeju, Busan and Seoul. The signal is so credible that I can communicate and browse in all of my social media accounts, emails and internet. Regardless of your location, it served me well. I don't regret renting wifi as I managed to use and maximized it in my days trip in Jeju, Busan and Seoul. The signal is so credible that I can communicate and browse in all of my social media accounts, emails and internet. Regardless of your location, it served me well. Thank you so much klook! Now i dont have to worry about having a $$$ roaming fee. Still currently using this, but so far so good. Will definitely recommend to friends and families. Oh, and there was a free battery that time I picked up mine. It’s a plus! Thank you so much klook! Now i dont have to worry about having a $$$ roaming fee. Still currently using this, but so far so good. Will definitely recommend to friends and families. Oh, and there was a free battery that time I picked up mine. It’s a plus! When you go to the counter to pick up your WiFi device, you may need to queue up for a few minutes. Service is fast and friendly. Startup of the device takes about 20 seconds. Full Charge lasted about 6-8 hours. Best to have a mobile battery when you’re out for the whole day. When you go to the counter to pick up your WiFi device, you may need to queue up for a few minutes. Service is fast and friendly. Startup of the device takes about 20 seconds. Full Charge lasted about 6-8 hours. Best to have a mobile battery when you’re out for the whole day.